In the early part of the 19th Century a number of families of Scottish people from Dumfries and Galloway left their old homes, braved the hardships of an Atlantic voyage, and settled along the Richibucto River in Kent co., N.B. They were attracted to this part of the province by the abundant lumber and by the grants of free land, which were liberally made. At first, like all pioneers, they suffered many hardships due to the rigors of the climate, and to the hard labour, which was necessary in clearing the land. But industry and patience brought their reward and soon there were thriving settlements in the vicinity of the river and its branches, one of which very appropriately was called Galloway, after the old home of the first settlers. Such names as Grivan, Glendinning, McNairn, Wilson, Wright, Jardine and Brait were found among the early colonists. Like all truly Scottish people, they remembered the Sabbath Day and the public worship of God to which they had been accustomed in their native shires, and they were anxious that the should not be deprived of the Means of Grace in their new land. About 1820 or 1821, Rev. James Thompson, a native of the Parish of Wamphray, in Dumfriesshire, who had lately been inducted as minister of St. Andrew’s Church, on the Miramichi, visited Richibucto, and preached to the settlers as he had opportunity. He belonged to what was called the General Associate Synod of Scotland, or, to use the common term, he was an Anti-Burgher. The Secession Church of Scotland (Scottish Presbyterian denomination) had been organized in 1733, under the leadership of Ebenezer and Ralph Erskine, because of trouble, which arose in the Established Church over the working of the Patronage Act. In 1746, the Synod of the Seceders further divided over the question of taking the Burgess Oath, an oath that was required by law of those who were admitted as Burgesses in certain of the towns of Scotland. The Anti-Burkhers refused to admit the propriety of taking the oath, inasmuch as it had a section demanding adherence to the religion established by law in Scotland, and they had been expelled from the Established Church. Their Synod was called the General Associate Synod. The Burghers, on the other hand, claimed that the oath demanded only general approval of the doctrines and forms of the Church of Scotland without necessarily carrying with it approval of the existing established Church. The Synod of the Burghers was called the Associate Synod. Rev. James MacGregor, who came to Pictou in 1786, and who did pioneer work in the Scottish settlements throughout all the Maritime Provinces at a time of great spiritual destitution, was an Anti-Burgher, and refused for a time to sit in Presbytery with three Burgher ministers who were settled near Truro. However, more experience brought deeper insight and showed the uselessness of bringing old ecclesiastical divisions from the Mother Country to this new land where they are inapplicable, and so, in 1817, the Anti-Burgher Presbytery of Pictou united with the Burgher Presbytery of Truro to form the Synod of the Presbyterian Church of Nova Scotia. Before this event took place the Anti-Burghers had begun to educate a native ministry. Rev. Dr. Thomas McCulloch, who came to Pictou in 1803, had gathered a band of promising young men about him, and had begun to give them academie training. This he followed by instruction in Theology. Thus there was graduated in 1824, the first class of native young men, in what was the foundation of Pine Hill College, Halifax, now the Maritime Theological College of the United Church of Canada. Three members of this class went over to Glasgow, where after examination, they received the degree of Master of Arts from that great University in February 1825. One of these young men was John MacLean, who was born at West River, Pictou Co., on September 1st, 1801. After his return from Glasgow, he was appointed to go on a preaching tour along the North Shore of New Brunswick, during which he went as far as the Restigouche. He preached for one Sabbath at Richibucto, with the result that he was called to be the minister of that place. The Presbytery of Pictou allowed the call, and because Richibucto was so far away, they ordained him at East River, Pictou, during the summer or autumn of 1825. He did not start for NB til the following spring arriving at his congregation in May. It was not until August 19th however that he was inducted to the charge. His Session was composed of the following elders: George Platt, Samuel McKean, John Tweedie, Mr. Saunders and Samuel Girvan. Mr. McLean’s parish was the whole County of Kent. One-seventh of the time he gave to Kouchibouquac, and as there were no roads or bridges in those days, it was very difficult to get about. But he was a man of far more than average ability. He discharged his duties with fidelity and success, notwithstanding the hardships involved. Such was the impression made, that no licenses were issued by the magistrates that year. Under the strain of his vigorour and self-sacrificing labours, his health gave way. He developed pulmonary consumption, and it 1833, he felt that his ministerial work was done. With great regret, the Presbytery accepted his resignation, and he removed with his family to Halifax, where for two years, he conducted a private academy. But with the coming of the next minister a change took place. Apparently a number of the people were “Auld Kirk,” in adherence and sympathy, and they made their influence felt in the calling of Rev. James Hannay, a minister of the Church of Scotland, about the year 1834. Like many of the Richibucto people, he was a native of Galloway in Scotland, and came to Canada under the auspices of the Colonial Missionary Society, a society of Glasgow people belonging to the Established Church, who were interested in the spiritual welfare of Scottish people in the colonies. Mr. Hannay sent a report of conditions in Kent Co., to that Society, from which we glean the following facts: The population of the entire province was 118,902 that of Fredericton, 3,000, and of St. John 12,885. In Kent Co., the total number of Presbyterians was 750, of which 350 were on the Richibucto River and within four miles of the Church.109 were beyond this on the tributaries, viz., 57 on Bass River, 42 on Moulies River and 10 on Mill Branch. Among these latter people he preached four Sabbaths a year in a centrally located schoolhouse. In the St. Nicholas River district he found 154 persons, distant from the Church about2 ½ miles. With the exception of the settlers on the Bass and Moulies River, the attendance at the Church is good, except when the weather is very bad. There were at least 104 communicants. In Kouchibouquac there were at that time according to Mr. Hannay, about 100 souls. They paid 1-7 of the stipend during Mr. MacLean’s pastorate and received 1-7 of the Sabbath services. There was also a settlement of Scotch Highlanders called Glenelg, situated on the road to Halifax, about ten miles from St. Andrew’s Church. They spoke Gaelic and numbered about 50 souls. Unfortunately we know few of the details of Mr. Hannay’s life. But this report is a monument to the man. It shows us the methodical man, the accurate man, the practical and effective man, a man to whom his duty as a watchman for God, and a winner of souls was supreme. During his pastorate, he was called upon to suffer the loss of his wife, who lies buried in the old cemetery near the Church. He was greatly assisted in his work by his Session to which the following names were added during his ministry: John Jardine, William Bell, John Harris, John Robertson and Samuel Robertson. After nine years of arduous and faithful service, he demitted his charge in 1843, and returned to Scotland where he settled in a parish near Glasgow. On his health failing, he returned to his native Galloway, and when he cam “to the bourne of life, where we lay our burdens down,” he entered into peace. During Mr. Hannay’s ministry, the congregation would be a congregation in connection with the Church of Scotland. Mr. Hannay was likely inducted by the Presbytery of New Brunswick in connection with the Church of Scotland, a Presbytery which was organized in 1833, and which became a Synod in 1835, with the two Presbyteries of St. John and Miramichi. He was inducted into his pastoral charge by the Presbytery of Miramichi of the Free Presbyterian Church of N.B. It is interesting to notice that the Free Presbyterian Church united with and became a part of the Presbyterian Church of the Lower Provinces, at a meeting held in St. David’s Church, St. John, on July 2nd, 1866. “The Presbyterian church of the Lower Provinces of British North America” had originally been formed in 1860 by a union of the Synod of the Presbyterian Church of Nova Scotia, with the Synod of the Free Church of Nova Scotia. Then during Mr. Law’s ministry still another union took place, which caused the congregation once more to change its connection. In 1875, the scattered branches of Presbyterianism in Canada united to form the “Presbyterian Church in Canada,” so that the congregation of St. Andrew’s Church changed its name from being a congregation in connection with the Presbyterian church of the Lower Provinces, to be a congregation in connection with the Presbyterian Church in Canada. Mr. Law was minister of St. Andrew’s Church for 32 years, from 1845 to 1877. Bass River and Harcourt branched off during his pastorate and became a separate charge. Kouchibouquac became a mission charge and Buctouche likewise. The old church was destroyed by fire and the present spacious and commodious structure was erected in 1859. Mr. Law admitted into the eldership such men as Robert Lawson, David Wright, John Glendinning, James Porteous, Robert MacLelland and Ward MacDonald. During his residence at Kingston (now Rexton) his family was born, the youngest son being named Andrew Bonar. When a lad of 10 or 12, he went over to live with relatives at Glasgow while attending High School. Such was his ability that e rose by successive stages until he became Prime Minister of Great Britain in 1922. Rev. James law was compelled by ill health to resign his charge in 1877 after a long pastorate of 32-years. He returned to his native place in Ireland, where it was hoped that he might regain his health, but though he lingered for a few years, he finally passed away in 1882. A man of great ability, a pulpit orator, earnest and faithful in the discharge of his duties, he left a deep impression upon the whole county. By it he, being dead, yet speaketh. The first Mrs. Law who had been a Miss Kidson before her marriage, and who was the mother of Right Honorable Bonar Law, died at Rexton, and is buried in the old Churchyard. After Mr. Law’s resignation, Rev. Malcolm MacKenzie was called to be the minister of St. Andrew’s Church, Rexton, and Zion Church, West Branch. He was a native of Scotland, and belonged to the United Presbyterian Church of that country. He received his education at their theological college in Edinburgh. After coming to Canada, he labored for a time in Inverness, Quebec and thereafter settled at Rexton, where he continued until 1884, when he removed to Manitoba. After seven years service there, he returned to the East, and became minister of one of the congregations on PEI. He died quite suddenly on May 11th, 1896, while on his way to attend a meeting of the Presbytery at Charlottetown. Mr. MacKenzie was succeeded at Rexton by Rev. Wm. Hamilton, who was settled on August 27, 1885. He was a native of Scotland, and while there belonged to the original Secession Church, a body that had refused to join with the Relief Church in 1847, at the time of the formation of the United Presbyterian Church of Scotland. Mr. Hamilton labored faithfully as Minister of St. Andrew’s Church until January 4, 1897, when he resigned. Eventually he removed to Western Canada, where he served the Church until his retirement from the active ministry. Then after some time of leisure in the evening of his days, he passed on to his reward. During his ministry at Rexton, West Branch was separated from St. Andrew’s Church and united to Bass River to form a separate charge. A new Church was built at Richibucto and opened for service in November 1888. The ranks of the Session were filled from time to time, and the following names, among others appear on its roll, Thomas Scott, James Murray, Archibald Lenox, George Lawson, Robert Main, Samuel Girvan, Edwin Boswer and Thomas C. Girvan. Rev. William Hamilton was succeeded on October 14, 1897 by Rev. Donal Fraser, B.A., a native of New Glasgow, NS. He received his education at Pictou Academy, Dalhousie University, Princeton, NJ and the Presbyterian College, Halifax. He was called from Hampton and Rothesay in the Presbytery of St. John, and for six and a half years threw all that was best in him into his work. He was strongly supported by a Session that was nonpareil. They were truly a band of men whose hearts God had touched. Part of his duty was to pay the last tribute of affection and esteem to two of them – Messrs. Robert main and James Porteous. He was also helped by a worthy wife. An Auxiliary of the Women’s Missionary Society was organized by Mrs. Fraser in January 1898, and is still abundant in labours of devotion and love. Semper Floreat, one of the splendid features of the congregational life of his time was the organization of young people that met at the manse from week to week. An unsought and most unexpected summons to work elsewhere came to him in the midst of these strenuous and happy years. When he removed to LaHave in 1904, he left behind the memory of a faithful preacher and pastor, who had rightly divided the Word of Life. The people of Rexton and Richibucto are delighted to have Mr. and Mrs. Fraser with them during this summer, when he is supplying Kouchibouquac and assisting Mr. MacQuarrie in his old charge. Mr. Fraser was followed by Rev. A.D. Archibald, M.A. who was called from the Congregation of South Richmond in the Presbytery of St. John. Mr. Archibald, though by birth and training, a Nova Scotian, being born in the Coldstream Congregation, in the County of Colchester, and a graduate of Dalhousie and of the Presbyterian College, Halifax, yet has spent most of the years of his ministry in this province. He was inducted as pastor of St. Andrew’s congregation on August 7, 1904. He spent eight and a half fruitful and happy years in this pastorate. Both he and Mrs. Archibald were a tower of strength and inspiration to his people in the joys and sorrow and vicissitudes of these years. As a platform man, as a preacher of the blessed Evangel he was richly endowed, with eloquent word and moving song. He was especially strong along the side of the sinews of war for the Church’s work. He greatly enriched the missionary and benevolent features of the congregation’s givings. Not only so, but he has greatly served the Church as a whole in these Maritime Provinces. The Church will not soon forget the toil and care he has generously given to the success of her annual Synodical gatherings in the efficient management of her Synod Fund. He was called to Prince Street Church, Pictou in 1913. After some years of good service in that old order to facilitate the union of the Congregations of Prince Street and Knox Churches to form the First Presbyterian Church of Pictou. Thereupon Mr. Archibald was called to be the minister of St. Luke’s Church in Bathurst where it has gone on from strength to strength. Rexton heartily welcomes Mr. Archibald to the Centennial services and appreciates very much his kindness in consenting to be the anniversary preacher on August 8th. He was a man of fine Christian spirit and devoted to work of his Master. For some time after his decease, Rexton was ministered to by his father-in-law, Rev. Archibald Lee, B.A. he was a native of Tarbolton, Scotland, but early in life removed to Canada. His education was taken at McGill University and at the Presbyterian College, Montreal. He labored earnestly and successfully in different parts of Canada both East and West, his last regular work being carried on in Rexton where his memory is still green. His retirement took place on June 27, 1915, after 31-years of service. Thereafter he lived at Vankleek Hill, Ontario until he was called to higher service on January 3, 1921. Mr. Lee was followed by Rev. Geo. S. Gardner, who was inducted on October 21, 1915, and who resigned the charge on August 6, 1922. Rev Gardner is a native of Yarmouth. He was educated a Mount Allison University and at the Presbyterian College in Halifax where he graduated in 1905. He also pent one winter in post-graduate study in the united Free Church College in Glasgow. He became minister of River Hebert, NS after which he was called to Dominion No. 6 in the Presbytery of Sydney. From there he came to Rexton in 1915. Mr. Gardner is richly endowed with pulpit gifts and a genial and devoted pastor. He was pastor at Rexton during most of the war years, and after. A large number of the young men of the Congregation went overseas, and took their part in the great fight for liberty and civilization. Fifteen of these made the supreme sacrifice or died as the immediate result of war service. A Table in their memory is to be unveiled in St. Andrew’s Church during the Centennial Services. Mr. Gardner demitted this charge in 1922 to take up work in connection with the “Maritime Home for Women” at Moncton. He is now the pastor of the United Church at Grand Falls, NB. On November 30, 1922, Rev. W.A. MacQuarrie, B.A. BD, was inducted as the minister of Rexton and Richibucto pastoral charge. He is a native of Hampton, PEI and received his education at Prince of Wales College, Charlottetown, Dalhousie University, Halifax and the Presbyterian College of the same place. On his graduation from the latter in 1916 he was awarded the “Alumni and Carmichael Post-Graduate Scholarship”. He was minister of Bedeque, PEI from 1916 to 1920, after which he went to Edinburgh to attend the Post-Graduate School of Theology in connection with Edinburgh University. He also took classes at New College. On his return to Canada in 1922 he was called to Rexton and inducted on November 30th of that year. During his pastorate at Rexton the most important ecclesiastical event of recent years has taken place, the union on June 10th, 1925, of the Presbyterian Church in Canada, the Methodist Church and the Congregational Churches to form the “united Church of Canada”. In this union the congregation of St. Andrew’s Church concurred by a large majority, as it has concurred in other unions, which affected it, and once more it changed its connection, for the fifth time in its history. On January 1st, 1926, the Pastoral charge of Rexton and Richibucto was transferred from the presbytery of Miramichi and placed under the care of the Presbytery of Moncton, and in April this Presbytery approved of the local union of the congregation of Chalmers Church, Richibucto, with the congregation of the former Methodist Church of the same place. The Session has been recruited from time to time, as its ranks were depleted by death, or the removal its members from the bounds of the Congregation. Among those who have been called to higher service in recent years have been John P. Bell, John Cameron, O.K. Black and James Law-Bowser, and Robert Beers, William Wathan, W.E. Forbes, and H. Dickson for the Richibucto United Congregation. As we survey the past we do so with hearts overflowing with gratitude to Almighty God, for his blessings bestowed upon us. We face the future with fait and hope, confident that He, Who has been our father’s God, and the Stay and Strength of the noble men and women who founded the Congregation, and supported it during its century of history, will still be with us in the days that are to come. Chef Francis Hergott arrived in Moncton, New Brunswick, from Paris, France, in September 2002, to train the personal chef of the French Consulate General. After previously spending five months in Quebec during his own Chef’s training, he was already in love with Canada. What he hadn’t planned on was making Canada his home, but as life would have it, he fell in love with a Canadian girl! Francis grew up in Paris. From an early age he enjoyed being in the kitchen with his grandmothers. He admits, that at first, it wasn’t so much about the food – it was about the closeness and love he shared with them. As he grew older, he realized it felt great to help, and every time there was a family reunion he was in the kitchen spending quality time, while he helped his grandmothers prepare traditional dishes. When it came time to choose a career in high school, he decided to go to Professional School and study Hotel Management. He later specialized in the ‘art of the table’, learning all about the restaurant business including cooking and serving. As a student chef it was necessary to continue training in another country, so Francis came to Chateau Montebello in Quebec for five months. When he returned to France, it was compulsory to join the Military, which he did. He then continued his studies working in the heart of Paris, and later moving to London, and then back to France. It was at this time that the French Consulate, who was a cousin of his mother, invited him to come to Moncton to train his personal chef. When Francis arrived in Moncton he was impressed with the small city way of life, and in particular with the people of the city. When his work was completed for the French Consulate, he found a job at a French bakery and helped to establish it as a restaurant. Before the year was up, he created his own catering company with a partner, where they specialized in fine wines and French cooking, organizing many events in Charlottetown, Caraquet, and Edmundston, with guests numbering between 500 and 2000. When Francis and Carole decided to start a family, Francis saw the need to have a more comfortable lifestyle with a steady salary, and went to work as Executive Chef for ‘Auberge Gabrielle’, in Shediac. When the owner purchased ‘Catch 22’ in Moncton, Francis became Executive Chef at the new location. Since ‘Catch 22’ is a favorite location of Peter Porter (of Peter Porter Orchette), Peter knew Chef Francis well. And since Peter Porter Orchette was coming to Rexton to entertain at the Harvest Gala Dinner & Dance, Peter knew that Norma Raine and Noreen Langdon, (organizers of the Harvest Gala Dinner & Dance), were looking for a Chef to prepare the menu and meal for this year’s event. Peter referred Norma and Noreen to Chef Francis. They met, and needless to say, were very impressed. Chef Francis Hergott will make his Kent County debut at the ‘3rd Annual Harvest Gala Dinner & Dance’, held at the Rexton Curling Club on Saturday, October 11th. Doors for the Gala will open at 6 p.m. for cocktail hour with pre-dinner music by pianist, Mark Thibeault. Dinner will be served at 7 p.m. Once again guests will dance until midnight to the sounds of ‘Peter Porter Orchette’. Family as well as corporate tables, for 10, can be reserved. 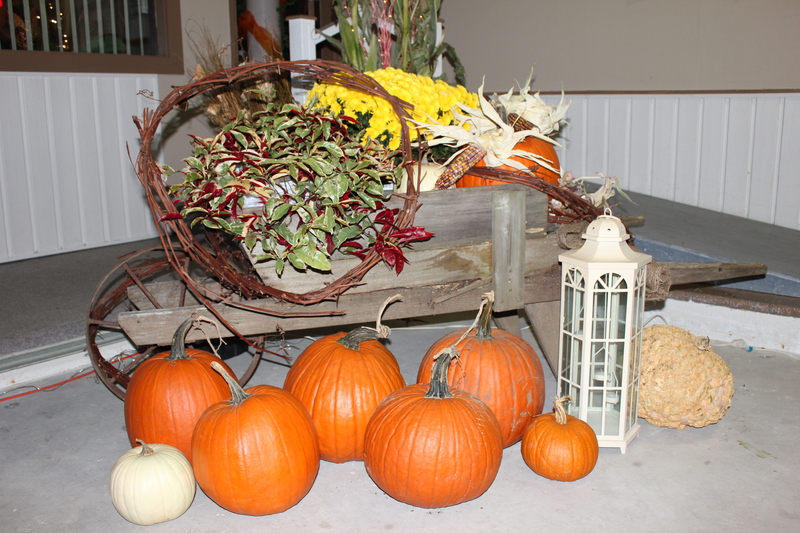 The Harvest Gala is a major fundraiser for the Restoration Project of St. Andrew’s United Church in Rexton. As for Chef Francis, he has a special meal planned for his debut in Kent County. He will start the four-course meal with Tomato Basil Soup served with Crostini, followed by Green Salad, Roasted Squash and Filo Pastry served with Raspberry Dressing, a main course of Beef Bourguignon served with Seasoned Vegetables, & Potato Duchesse, and a dessert of Apple Tart with Caramel Sauce. At the end of October, Chef Francis, his wife Carole, and their son Liam, will open the restaurant at the Richibucto River Resort. Chef Francis and Carole, have many interesting plans and ideas for this new restaurant in Kent County and look forward to serving the area. For information and tickets for the ‘Harvest Gala Dinner and Dance’ on October 11th, contact Norma Raine at 523-0995, or Noreen Langdon at 523-1060. The Harvest Gala Dinner & Dance returns for the 3rd year! The “Harvest Gala Dinner and Dance” returns by popular demand for a third year. We are especially excited to welcome Chef Francis Hergott, who will be catering this year’s event. Francis is from Paris, France, where he trained and honed his skills before taking over as chef de cuisine at Catch 22 in Moncton. The Gala will be his Kent County debut. Francis, whose wife hails from St-Louis-de-Kent, will be starting his own catering business and restaurant in the Rexton area. Don’t miss out on a fabulous evening of fine dining with dancing to Peter Porter’s Orchette. Enjoy a fun-filled evening with family and friends by reserving a table for ten. Corporate tables are also available. For tickets contact Norma Raine at 523-0995 or Noreen Langdon at 523-1060. Be sure to let your friends and family know! We look forward to seeing you there! 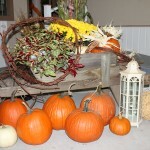 Posted in Fundraising events	| Comments Off on The Harvest Gala Dinner & Dance returns for the 3rd year!